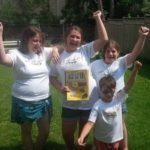 Theory Camp - The Perfect Way to Teach During the Summer! Theory Camp... Have you ever worried about how to fill that "Summer Lesson Draught" that so many Music Teachers experience? 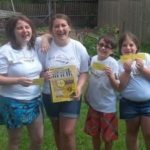 Well - get ready to be inspired as Guest Blogger Kandice Kreutner Ilgner shares how she turned an empty summer schedule into a full schedule of Summer Theory Camp using the Ultimate Music Theory Lesson Plans available in the UMT FREE RESOURCES! Plus download your FREE UMT Club Class Brochure, personalize it and get started today! As Editor and Examiner for Ultimate Music Theory, it has been an honour to get to know many teachers through the Ultimate Music Theory Certification Course. These teachers inspire, motivate and bless me in more ways than I could even blog about! Kandice Kreutner Ilgner is one of those amazing teachers! Kandice Kreutner Ilgner runs "Keys with Kandice", a thriving music studio in Kitchener, Ontario. 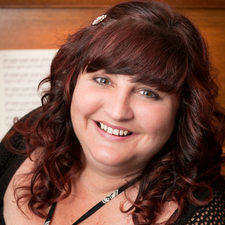 She has been teaching piano and theory for 30 years in her private studio as well as at music schools in her area. Her studio is known for her "Kandi Money" - incentives which her students can earn for good practice habits, completed theory pages and extra work! At $50 a theory page, completing theory pages has quickly become the ticket to a nice fat "wallet" (and has made lots of Ultimate Music Theory Fans)! At the end of their lessons, students are able to "buy" treats or toys from the "Kandi Store" with their "Kandi Money"! Kandice has 5 children of her own - all of whom are very encouraging as she tries to find the time between teaching 50 students in 4 evenings, working 7 days a week as chief cook & bottle washer, and studying to complete her Ultimate Music Theory Certification Course. Her goal is that Keys with Kandice will grow into a school known for inspiring the love of music for both the young and young at heart - playing all instruments, all genres and encouraging self-confidence in students of all learning styles and abilities. Summer Lesson Draught? Try Theory Camp! Every year as the snow melted, the birds began to sing and chats turned to "plans for the first long weekend", I would get a sick feeling in the pit of my stomach. 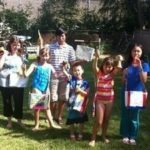 Now, I LOVED summer as much as the next teacher but in my piano studio - Keys with Kandice - lessons went from downright booked solid during the school year to "hey, does anyone want to stay home and take piano lessons in July and August? It'll be fun - I promise!" during the summer. 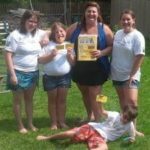 Yes, summer months had all but paralyzed my family as far as income until one day I was approached by a mother of some of my students who wondered if I had ever considered doing summer music camps. I'll be honest, being a "day-care" while singing campfire songs and banging on my pots and pans was not high on my list of "fun things to do with my summer", but it did ignite a spark as I thought of the potential that a whole week in the summer could hold! What if, instead of only offering theory lessons during piano lessons throughout the year, I dedicated a week (at least) to each Ultimate Music Theory Workbook? Students wouldn't have to worry about juggling school homework with practicing and theory homework. They could dedicate a solid week from 10:00 am (for a little sleep-in time) to 5:00 pm and get through a whole Workbook! I went ahead and made up invitations to every student who I felt was ready or who had already begun the Ultimate Music Theory Course. I was very up-front about the amount of work that these students were signing up for. This was going to be fun, but there would be homework - every single night. These were what I called "Krash Kourses in Ultimate Music Theory", so they were much more than just tons of fun and games! Most provinces and states offer High School Credits for students who complete theory and practical examinations of nationally recognized music theory syllabus, such as the 2016 RCM - Royal Conservatory of Music Theory Syllabus. I promoted the fact that sometimes these credits come in very handy to save students from that dreaded "fifth year" of High School. They can also significantly raise a Student's school average! Parents and students alike jumped at the opportunity and, just like that, summer became a much anticipated and exciting part of my studio curriculum! Using Glory and Shelagh's free Lesson Plans, I broke the lesson plans into days so that we could be ready to write the Final Exam on Friday. The pizza party and snow cones after the exam helped keep everyone focused on our goal! Throughout the week, when we'd complete a lesson, we would "fermata" for a game. We had a race to see who could (neatly) remove all their flashcards from the back of their book the fastest. We played "Go Fish" with the Italian Terms. We played "Slap" with the Fly Swatters as Shelagh had suggested in her "Slap That Rhythm" Blog. We played "Ludwig Beethoven" (my take on "Marco Polo") in the pool. It turned out that there were so many games and so little time, I actually ended up extending the Intermediate UMT Kamp to make it 2 weeks! The students loved it! After 3 summers, every student that has committed to the completion of their homework and has written the final exam in the back of the Workbook (thank you Glory and Shelagh for the answers to help with quick marking!) has passed with flying colours! Last summer, one student received 100% on his Basic UMT Exam - and he was only 10 years old! I save some lesson reviews for them to complete when they come back in the fall for "normal" lessons. In November, they download the UMT Exam Books to build even more confidence as they aim for 100% on their December Theory Examination. Now-a-days, when the snow starts to melt and it starts to stay light outside, as I begin to close up the studio, instead of feeling sick about the approaching summer and my "piano lesson draught", I have parents asking when Theory Kamp Sign-Ups will open and how soon can they register for their Theory Examination! As my Theory Kamp invitation states: "The cost of a fantastic week with new friends, tons of fun, games, tunes and earning half of a High School Credit? Priceless!" Order your Music Theory Pack Kit! It contains one each of the Workbooks and Answer Books for Basic, Intermediate and Advanced Rudiments; a UMT Student Whiteboard, a UMT Ruler and your UMT Tote Bag! 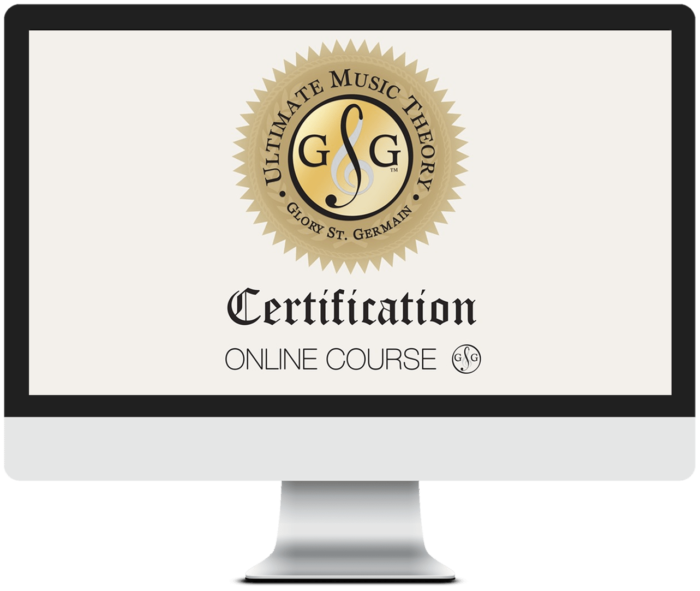 Then sign up for the Ultimate Music Theory Certification Course! Ultimate Music Theory has everything that you need!